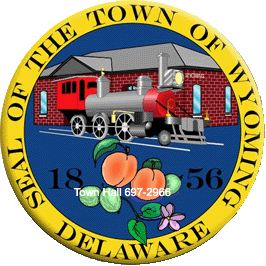 The Town of Wyoming Council, Police and Staff wishes you a Happy Thanksgiving. Town Hall will be closed on Thursday and Friday (Nov 22nd & 23rd). The Delmarva Central Railroad has posted “No Parking” signs next to the railroad on Railroad Avenue. …or KentCom (non-emergency) at 302-739-4863. If you have a complaint that needs to be reported. It is very important to generate an incident reference number to record repeat or reoccurring events. You can communicate that you would like to be anonymous if you do not want to receive updates and/or feedback regarding the complaint.